PREMIUM COLT AND SITE CHAMPION!! CONGRATULATIONS to Stephanie Wendorf! 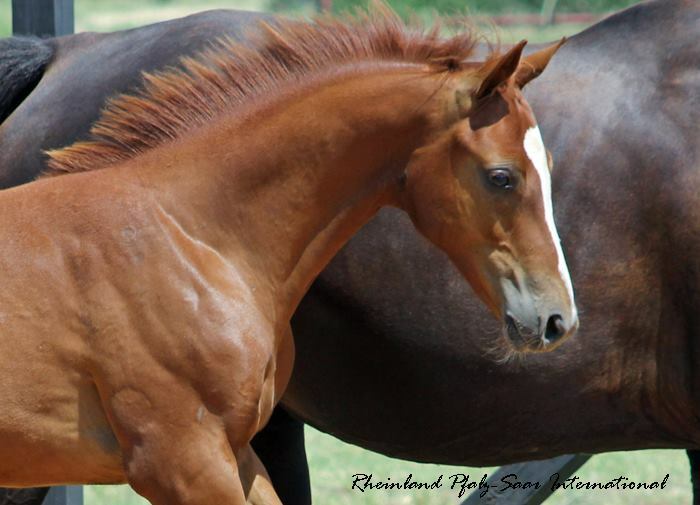 She is the winner of Elixir - the 2013 Leg-Up Raffle Foal. Please check back to see which foal we will donate from our 2014 foal crop! We are pleased to announce that Elixir has been donated to the Leg-Up Equestrian Assistance Program, Inc. as the 2013 raffle foal! Please go to their website to purchase tickets and help others suffering from catastrophic losses or injuries within our industry! For the chance to win tickets to the raffle, like Avalon Equine on Facebook!! We are giving 5 tickets to a lucky winner when we hit 1500 "Likes" and another 20 tickets when we hit 5,000 "Likes"! This tried and true combination resulted in Edward Scissorhands d'Avalon who successfully completed the 70 Day Stallion testing in 2012 to fulfill his performance and licensing requirements with the RPSI. Edward himself is a lovely, leggy stallion, with three beautiful, harmonious gaits. A beautiful type with lovely form over jumps, we expect Edward to do well in the hunter ring. With a lovely, winning temperament and a people friendly attitude, we expect nothing less from this foal!.